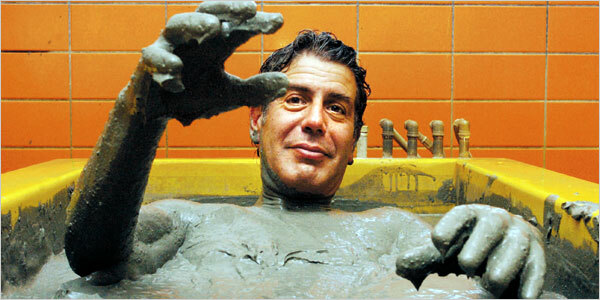 TV My Wife Watches: Anthony Bourdain: No Reservations: Who Does This Guy Think He Is? Anthony Bourdain: No Reservations: Who Does This Guy Think He Is? For the record, I think that most of the time he does have to make reservations. 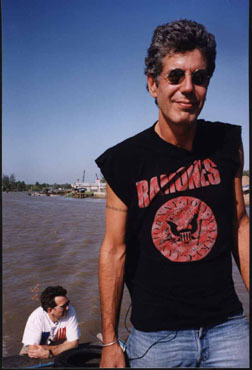 Let it be known, I kind-of like Anthony Bourdain. He's got a great gig, a decent sense of humor and is pretty open minded about life in general. But then again, I do acknowledge that he's sort of a douche. 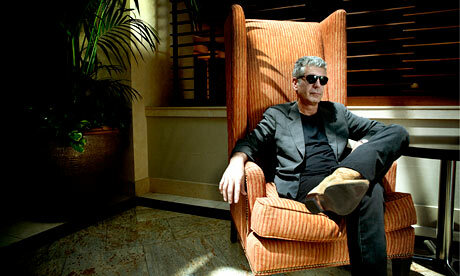 Little known fact about Bourdain: he knows how to play the bone-a-phone. Cover from his debut album: "Look at me, I Have a Chair." Oh, this bottle of wine? This is nothing, just a 1922 Chateau de Bluh. I mean c'mon, that's a tribal band tattoo right? Unacceptable. 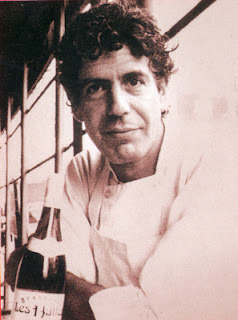 read his first book-written when he was still cool''kitchen confidential''. Really awesome and funny as hell. Little known fact "Look at me, I have a Chair" was actually originally recorded by Borat Sagdiyev. omg ma, i was JUST about the right the SAME thing. you gotta read this book before you judge or blog more about him - he's awesome. Already read the book ... makes him look like even more of a douche!! Kitchen Confidential was great. Everything else sucked. 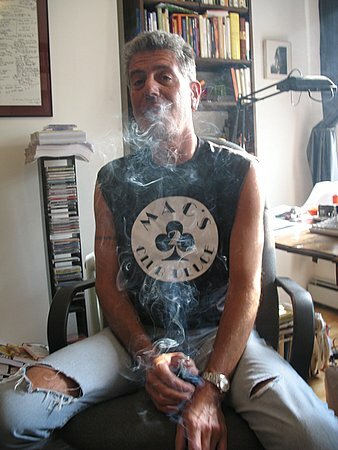 No reservations should be a show about a skinny ex junkie waiting in line at various restaurants like Jerry did at the Chinese restaurant. Hilarity would ensue. love love love No Reservations. sounds like i need to read Kitchen Confidential. I heard the guy from Man vs. Food is writing a book called, "Swollen Colon." as pirating the game itself. Making your game play is the next phase you'll be focusing on. them jump when she yelled the spooky ending. In his introduction to the book poet Yusef Komunyakaa compares Ai's dramatic approach to that of a method actor. It may feel awkward or just plain wrong to write in new ways, but the more uncomfortable it feels, the more it's likely to lead to breakthroughs. They want to win by playing their very best as opposed to winning by putting the other person off. can cut one's mouth. Online gaming is a popular way to spend enjoyable time at a low cost for hours on end. brow, Robert has brought it in to the landing net. area and try to match your flies to the size and type fish are biting on. doesn't harm the fish and will most likely be easier for you to prepare the fish for later.